This webpage is my official list of my upcoming public appearances. It is updated as information becomes available for release. For the most current information about an event, please consult the event host’s webpage listed here. If you have questions about—or problems with—obtaining tickets for an event, please contact the listed host organization of the event. All ticket sales are handled by event organizers and their ticket brokers. Please keep in mind that many events will sell out quickly, sometimes in only hours—or even minutes!—after the tickets are released for sale. Diana will be the honored guest at “An Evening With Diana Gabaldon,” hosted at historic Tryon Palace. She will speak about her work, attend an exclusive cocktail hour with VIP ticket holders, and will be guest of honor at a special dinner on the South Lawn. 5:00 p.m. – Exclusive Cocktail Hour with Diana begins (VIP ticket purchasers only). “An Evening With Diana Gabaldon,” is one of the Tryon Palace and Alamance Battleground series of events featuring Diana Gabaldon from April 26-28, planned by the North Carolina Department of Natural and Cultural Resources.. Purchased tickets are required. See below. Directions to Tryon Palace from the venue’s website. Tryon Palace will host “An Evening with Diana Gabaldon,” featuring an Exclusive Cocktail Hour in the historic Commission House with Diana, and a formal dinner on the South Lawn with remarks from Diana. At 6 p.m., an Outlander-inspired meal will be served on the picturesque South Lawn. Hear Diana speak about her work and enjoy select drinks at the cash bar. For all ticket holders. Formal attire is requested for this dinner event. 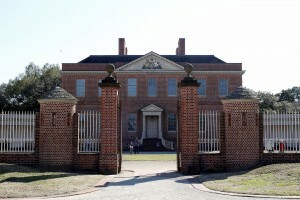 Tryon Palace in New Bern is a location that appears in in DRUMS OF AUTUMN, the fourth major novel in Diana’s Outlander series of major novels. There are two ticketing choices, either the VIP ticket, or the dinner-only ticket. VIP Tickets are $450 per person, and include both the Exclusive Cocktail Hour with Diana and and special seating at the dinner following on the South Lawn. Again, note that VIP tickets will be limited to 75 tickets only. Tickets for Dinner on the South Lawn are $300 per person. This option does not include the cocktail hour. Tickets for this event may sell out very quickly, so please buy as soon as possible to avoid disappointment! Some similar events featuring Diana have sold out in only minutes or hours after they went on sale. Proceeds from the event will benefit the support group for Tryon Palace historic site. A Question-and-Answer Session with Diana Gabaldon on Historic Tryon Palace’s Lawn. Join Diana Gabaldon outdoors on the South Lawn of historic Tryon Palace from 10 a.m. to 12 p.m. to learn about her writing process, the historical and background research she does for all her books, and why she chose to include Tryon Palace in her bestselling novels. Diana will answer audience questions after her talk, as time permits. Note that this event does not include autograph, photo, or book signing opportunities with Diana for attendees. This Q&A session with Diana Gabaldon is one of the Tryon Palace and Alamance Battleground series of events featuring Diana Gabaldon from April 26-28, planned by the North Carolina Department of Natural and Cultural Resources. Tickets for this event on Saturday, April 27 at Tryon Palace are $35 per person for tent seating, or $25 per person for lawn seating. Tickets for this event might sell out, so if you plan to go, please buy as soon as possible to avoid disappointment! 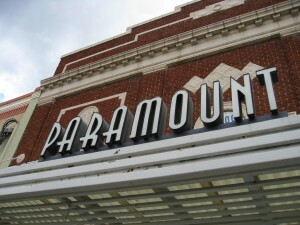 Diana will give a talk about her work at the Paramount Theater in Burlington, with a book signing event to follow. Purchased tickets are required. DETAILS ON PURCHASING TICKETS HAVE CHANGED! See update below. Come and hear Diana Gabaldon speak about her Outlander series of books, and their North Carolina connections on Saturday, April 27, 2019! Diana’s talk will include a Q&A session with the audience. The Talk/Q&A session begins at 6:00 p.m. (ET). Note that the $50 per person tickets for the The Talk/Q&A session do NOT include the book signing after the talk, which must be purchased separately. Would you like to meet and greet Diana as she signs your book? Following Diana’s Talk/Q&A will be a book signing event. A separate ticket purchase for $50 per person is required for the book signing line. You may request a photo with Diana when it’s your turn at the book signing, taken by a volunteer with your device (camera, smart phone, or tablet). Apparently you may buy a ticket to the book signing only. These events at the Paramount Theatre on April 27 are part of the series of events featuring Diana Gabaldon from April 26-28, planned and hosted by the North Carolina Department of Natural and Cultural Resources. Admission tickets for Diana’s talk and a Q&A session with the audience are $50 per person (plus taxes and ticketing fee), and do not include a signed book or photo. Click here to buy a ticket for Diana’s talk and Q&A session for the Paramount Theatre event, which begins at 6:00 p.m. (ET). All tickets for these events at the Paramount Theatre went on sale on March 18, 2019 at 10:00 a.m. (Eastern Time). Any questions about buying tickets to these two events at the Paramount Theater with Diana Gabaldon, please call the Paramount Theater box office at (336) 222-8497. Tickets for Diana’s talk and book signing at the Paramount may sell out very quickly, so please buy as soon as possible to avoid disappointment. Proceeds from the event will benefit support groups for historic NCDCR sites. Have you ever dreamed of touring the historic Alamance Battleground, a real place featured in the Outlander novels and TV series, with Diana Gabaldon? If you’re an OUTLANDER fan and love historic battlefields, this is a once-in-a-lifetime event! 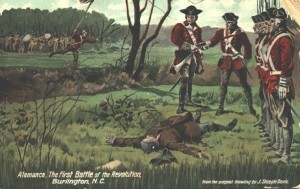 Learn about the history of the Regulators and the what led to the real Battle of Alamance. Take a walking tour of the battlefield, where Diana will read from THE FIERY CROSS,the fifth in her series of OUTLANDER major novels. There is a limit of 40 persons, so this will be a fantastic, personal experience! This tour and brunch with Diana Gabaldon is limited to 40 attendees. Please buy your ticket early if you plan to attend to avoid disappointment. This exclusive tour with Diana is one of the Tryon Palace and Alamance Battleground series of events featuring Diana Gabaldon from April 26-28, planned by the North Carolina Department of Natural and Cultural Resources. Proceeds from this event will benefit the support group for the Alamance Battlefield historic site. For more information or questions about purchasing tickets to this Alamance Battlefield event, please call (336) 227-4785 or send email to jeremiah.degennaro@ncdcr.gov. More events for 2019 from Diana’s schedule will be posted here as soon as they are confirmed! Please check back often. Diana will be the guest of honor on an 8-day author cruise on the Rhine River, from Basel, Switzerland to Amsterdam, Holland. Cruise reservations and payment required. The river cruise ship has a maximum of 128 passengers. “Romantic Rhine Author Cruise With Diana Gabaldon (Northbound) 2020,”, an eight-day river cruise from Basel to Amsterdam. River Cruise Prices, Reservations, Etc. More events for 2020 from Diana’s schedule will be posted here as soon as they are confirmed! Please check back often. If tickets are required for an event, they may be free or require a fee which goes to the hosting organization or sponsor. Tickets for ALL events featuring Diana usually sell out very quickly once they become available. Sometimes Diana’s Webmistress doesn’t receive information and details about events in a timely manner, and can’t post what she doesn’t have. Event hosts featuring Diana are strongly encouraged to notify Diana’s Webmistress when they post an event with Diana, and also dates when tickets will go on sale so that readers will be kept informed. PLEASE CHECK WITH THE HOSTING ORGANIZATION OR SPONSOR of an appearance or event OFTEN for the latest information, ticketing, venue changes, policies and updates! This list is provided as a convenience and my webmistress works hard to keep it current, but it may not always be perfectly up-to-date. If you have questions about an appearance or need more details, please contact the host organization or sponsor listed, not myself or my staff. The hosts or sponsors do the event planning and have all the answers. Thanks! Diana is always happy to sign and personalize your books at signing events as time allows. However, note that some events and venues may require a book purchase or have a limit on how many books you can bring from home for signing. Please check with the event host or sponsor if details are not listed on this webpage. 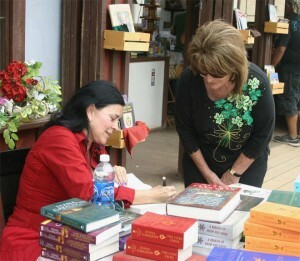 Photo caption, top-right photo: Diana signing a book for a reader at Lady Chamberlain’s Bookshop during the 2012 Arizona Renaissance Festival. Photo by Diana’s Webmistress. More photos from this festival. If you have questions or problems when purchasing tickets, PLEASE CONTACT THE EVENT’S LISTED VENUE OR HOST ORGANIZATION directly. This page was last updated on Sunday, April 15, 2019 at 12:40 a.m. (Pacific Time) by Diana’s Webmistress.